This highly compact motion light is wireless, fully automatic and completely solar powered. 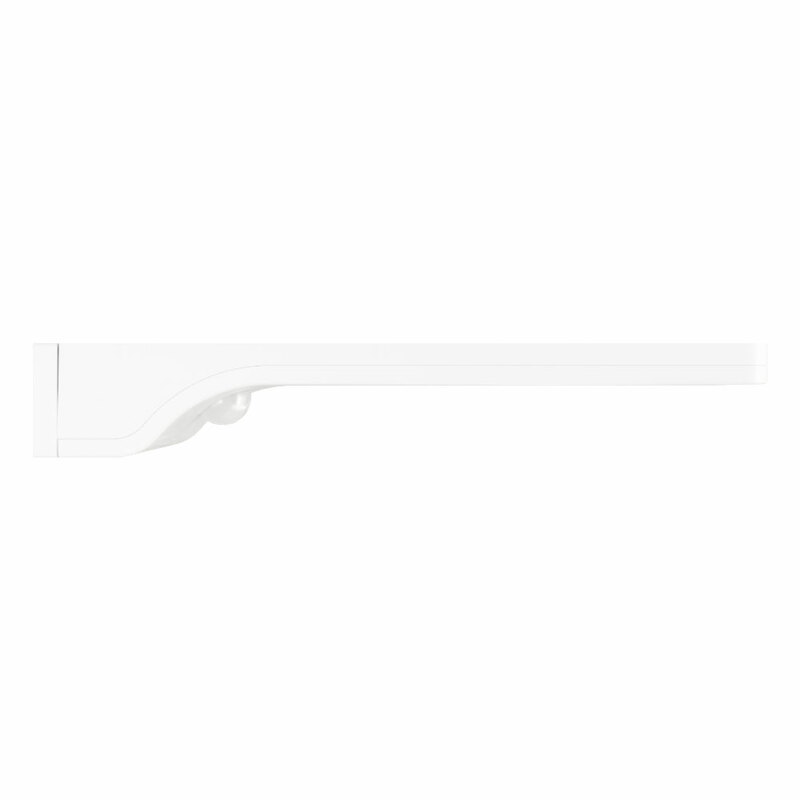 The Slate’s minimalist design and clean white finish lends itself perfectly to contemporary settings. The Slate can be installed quickly and easily by using its slot on bracket which creates a clean floating shelf styled installation. Easy to fit and works really well, even though the wall is NE facing it still is able get enough sunlight to work well when needed. I needed a light above the front door of a 100% north facing porch. A difficult job to get mains power connection. So turned to solar and this light is perfect. Easy to fit, works great and the light can be removed in an instant taken to back of the south facing house and charged in a short time and replaced. Very portable and has solved our problem and I would add is unobtrusive but smart. I bought two of these lights for my son. They were very easy to fit and worked almost immediately, giving a very bright light, better than my mains powered light! My son likes them so much he wants another for the rear of his property. I am very pleased. Really pleased, easy to fit, light and bright. I gave it a couple of days to charge and it works perfectly. Would definitely get another one. Wasnâ€™t even in full sun either. More than happy with the light it gives off. No more struggling to see to get into my house when itâ€™s dark. 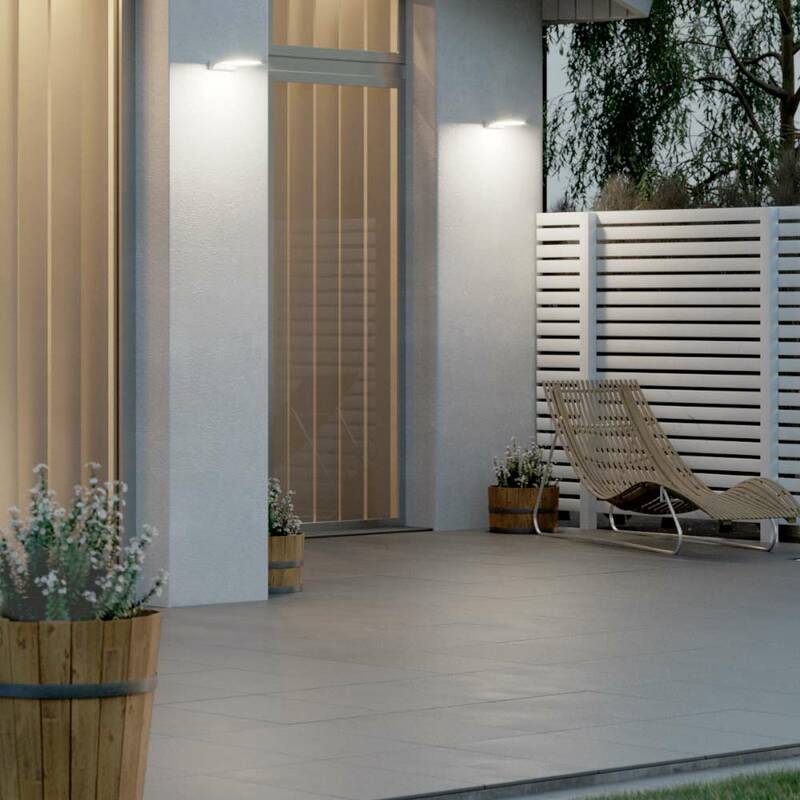 The Slate Solar Motion light is a modern design making it very unobtrusive, especially being coloured white. The fixing bracket was very easy to fit with just two screws and the light fitting just slotted onto the bracket. I left the light switched off for just two days and then activated it, and the Slate then gave out a brilliant light. The only slight drawback is that the motion sensor does not activate the light until you are within 3 to 4 metres, a bit less than I was hoping for. Otherwise with a special offer of Â£5 off this is very good value for money. Installation above my back door took a few minutes only, only 2 screws were needed and the design of the mounting bracket made it very easy. The light just slots over part of the bracket and that's it. The instructions say, "leave turned off for 2 to 5 days before using to make sure the battery is fully charged" I left it for 2 days and when I turned the light on it was dazzling! 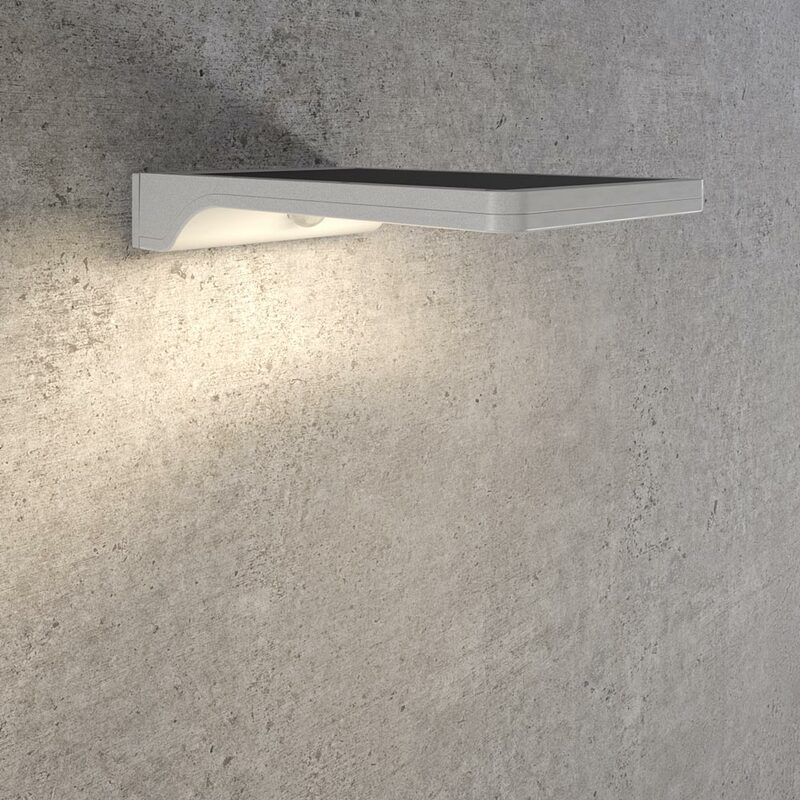 Excellent light, unobtrusive design and easy to install, then afterwards, maintenance free! What more could one ask? I thought it a little pricey, but there's a fiver off so it's not too bad for a good product. I hope it lasts! Once installed this powerful motion light emits a 450lumen light for approximately 10 seconds each time motion is detected within a 5m range. Designed for use year round in the UK the Slate comes with an optional Powersaving mode which reduces the brightness but doubles the amount of available activations each night. Will this work on a North facing wall? We do not recommend putting this light on a north facing wall. It will work but may not last very long in the winter months. If you think the area the light is in has low traffic (low number of triggers) per night then it could be an option. does the slate switch off during daylight hours? The Slate only illuminates after dusk and once motion is detected. It won't operate during daylight hours. Does this give off more light than the eco wedge elite as the light seems much brighter in the outdoor photograph used for both lights. The Slate is 450 lumens and the Eco wedge Elite is 1,000 lumens so more than double the brightness.